Green Initiative is renowned throughout the Middle East for its specialized expertise as the top energy efficient company offering LED lights Dubai. Having executed a diverse range of residential and commercial projects in Dubai, Abu Dhabi, Doha and Riyadh. We are one of the premier lighting suppliers in UAE, including villas, apartments, offices, retail units, hotels, schools, hospitals, stadiums, parking facilities, outdoor areas and warehouses. Our company has a diverse range of lighting products including LED tube lights, LED bulb lights and even a selection of the best solar lights in Dubai. We understand the importance of high-grade products that are long lasting and cost efficient, which is why we only work with the best partners such as GE, Philips, CREE, RUUD and OSRAM. LED lights have been hailed as the future of home & office lighting technology, as it uses very little energy, is long lasting and unlike other energy-saving bulbs, they are instantly bright when switched on. In the early years, LED lamps were too expensive and produced very little light. At present, you can get the brightest, most efficient lighting with LED bulb lightings, and prices are getting more affordable too. 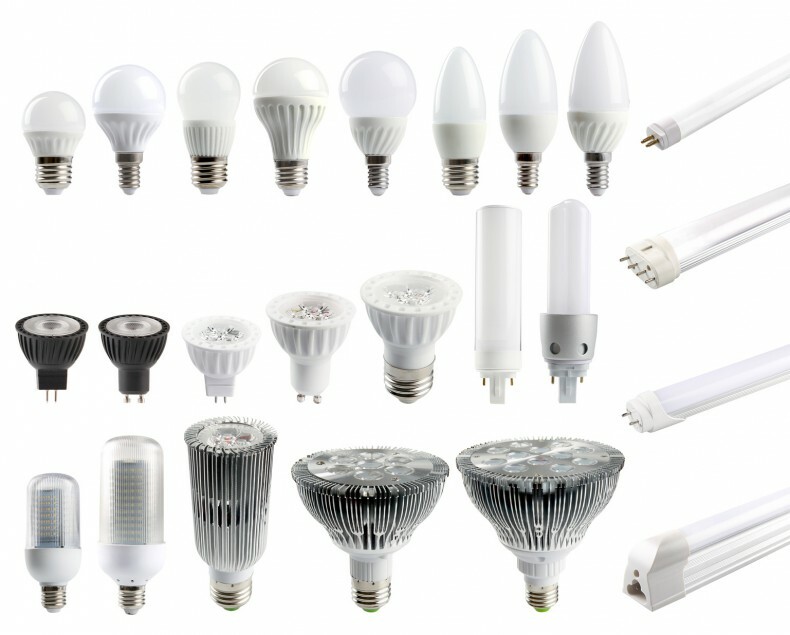 LED bulbs differ from traditional incandescent bulbs in the way they produce light. While old-fashioned incandescent light bulbs passed electricity through a thin wire filament, LED light strip produce light through the use of a semi-conductor that emits light energy when an electrical current is passed through it. The lifespan of LED lighting products is defined differently than that of other light sources, such as incandescent or CFL. The reason is because LED lights tube typically do not “burn out” or fail. Instead, they experience lumen depreciation, where the amount of light produced decreases and tube light color appearance can shift over time. Common LED powered lamps colors include amber, red, green, and blue. There is actually no such thing as a “white” LED lights product. To get white light, the kind we use for lights fixtures in our homes and offices, different color light LED bulbs are mixed or covered with a phosphor material that converts the color of the light. LED light bulbs are now being incorporated into bulbs and fixtures for general lighting applications too. LEDs are small and provide unique design opportunities for product developers and interior designers. Some LED bulb solutions may look like familiar light bulbs and some may not, but can better match the performance of traditional lighting products. The impressive long-life technology makes LED bulb lights a worthy investment. While lasting significantly longer than fluorescent products and up to 50 times longer than traditional incandescent lighting, LED lighting solutions offer tremendous energy and maintenance savings that easily justify business’ higher upfront cost. Green Initiative is recognized as the among the best LED lighting companies in Dubai, offering the best LED tube lights to buildings, schools, hospitals and shopping malls and other retail projects throughout the UAE.